Get Ready For An Amazing Next 12 Months In Your Twin Flame Connection! Today, I want to share a comprehensive resource for the coming year along with my best wishes for 2019 for you – no matter where you’re at in the world. You’ll find solutions for any aspect of the journey you may need assistance with. And spirit wants to remind everyone, there are many Twin Flames out there who have successfully united. Who are happy together. Many have contacted me via the blog to share their stories, and many are out there quietly enjoying their connection! Some don’t even know they’re Twin Flames. Know that it is possible. 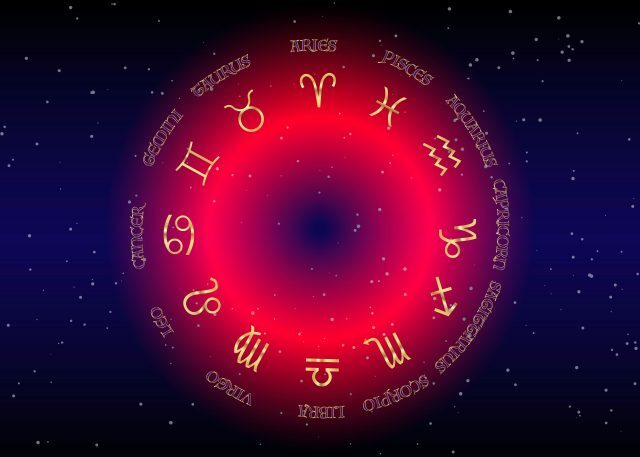 Spirit wants to note that there is a disproportionate amount of negative information out there on Twin Flames. This is, because the human instinct is to express ourselves and seek out help when we experience challenges. And where do Twins go? The internet. People who are happy are much less likely to take the time to seek out strangers and tell their stories. So keep this in mind when you’re out there reading and watching Twin Flame info. I believe in you, always – remember you came here to life for a reason! You always knew you could make it on your way back home to love, listen to that inner knowing of your soul’s wisdom. If you’re not happy with your situation right now – know that things can change faster than you ever allowed yourself to believe! With all my most heartfelt best wishes for an amazing 2019 for you! You don’t need to pay $200 for a private session with a healer or psychic to get help on your journey… I hear from so many disappointed Twins who’ve experienced that the hard way. A stranger doesn’t always know what’s best for you, and unfortunately it’s rare to find a truly gifted psychic or healer. However, you can use the guided meditations here to tap into the power of light you can access at any time, without paying a cent! That’s why I was guided to share these things for free to all Twin Flames. In the Free Kit you get an energy cleanse you can use over and over… Plus you get to connect with and communicate with your Twin Soul directly in the guided meditation, asking them any question you want and getting more clarity on your situation. Try it here. And if you’ve already downloaded these tools, make sure you use them consistently for best results. Just read about the amazing experiences Twins all over the world have had with this Free Twin Flame Kit. There are a number of things you can do to make it happen, to speed up the process or clear out niggling blocks that are keeping it from happening. You don’t have to just “surrender” or wait it out. You’re not powerless in this, trust me. If your journey is complicated by the fact that your counterpart is as yet unaware of your connection… If they are “stuck in the world of Ego” or are difficult to approach about the subject, or plain reject the idea… There are solutions. Sometimes what’s most needed to unlock your journey into a new and higher chapter, is a perspective change! 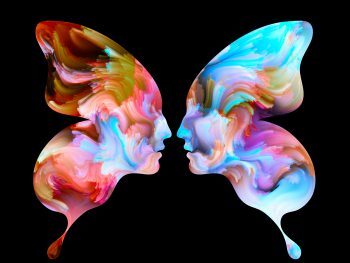 So here are two perspective changing articles to help you invite in a new and higher reality for your Twin Flame journey. I would like to caution you about YouTube however, as it can be (and is created with algorithms) to be extremely addictive… and anyone can put up videos there ! I never go on YouTube to view Twin Flame videos myself, and I have never done so – it creeps me out, honestly, my whole system rebels against it. If you do use YouTube a lot for Twin Flame content, be aware there is a lot of chaotic, panicky and low vibrational stuff on there. Listen to your intuition. Proceed at your own risk. Tap into the feeling of something before you watch it, and steer clear of what feels fear-based or based in unfounded prophecies and Ego – you’ll thank yourself later. One of the most amazing things that happened on my journey was learning to communicate with the higher realms (in case you’re curious I was never before psychic and my channel opened up through Kundalini awakening, became clear and active through energy work). There is so much support and love waiting to reach us from the higher realms, and I love sharing their messages! In these next few articles you get personalized messages from spirit and your Twin Flame’s higher self, specifically for what you need at this point of your journey. Sometimes I’m guided to provide some tough love to the Twin Flame community… Because there is a lot of info out there that’s not to your highest good and so many Twins get caught up in collective drama and Ego-based prophecies and information. In essence, listening to your own intuition, stepping into your power and being true to yourself is what I would always encourage you to do… And it has amazing repercussions for your journey. As you may know, I have a number of sessions and transformation journeys to give you a tangible change. Energy work is how I myself transformed my life and reached Union with my Twin Flame (read about this here). Your system will always signal to you what’s going on and what you need most, so have a look here and see what you feel the most drawn to. That’s your intuition speaking to you about what’s to you and your Twin Flame connection’s highest good right now. And of course the complete Vibrational Alignment Program, the step by step methods that got my Twin and I to Union. The guided program that was the reason I was pushed to start this site to begin with!